Digitimes Research offers various research packages for our customers, including special reports, annual data services and research analysis notes covering a variety of industries. Digitimes Research Special Reports focus on key trends in various high tech industries, providing comprehensive overviews and insights on the development direction of the market and its players. Digitimes Research may also target issues that affect the development of the Greater China market, such as government rules and five-year plans in China. Digitimes Research Special Reports are sold a-la-carte but can also be bundled with annual data services in a discounted package. The Digitimes Research Tracker is an annual subscription service that focuses on shipment analysis and forecasts in key ICT and FPD industries, with the data and analysis being updated each quarter. Breakdowns within each industry using criteria such as shipments by technology, market share by customer and orders placed to manufacturers are also provided. Subscribers receive quarterly reports and can also access all Research Analysis notes. Current services include Mobile Device Tracker, Smartphone Tracker, Global Server Tracker, Taiwan FPD Tracker and China Smartphone AP Tracker. Customers can subscribe to one service or bundle services together in a discounted package. The China market first made headway in the mobile handset industry when MediaTek and the China white-box supply chain partnered up to dramatically expand the 2G feature phone market in China. With 3G/4G smartphones now becoming the global standard, local smartphone makers have only grown stronger and are now exporting China-made smartphones to help fuel rapid growth in emerging markets. This success has not gone unnoticed by major application processor (AP) providers such as Qualcomm and MediaTek, and the quickly growing market has also helped drive growth for local players such as Spreadtrum. To provide a better understanding of the dynamics seen in the China AP market, Digitimes Research provides a quarterly tracking service that updates customers on the latest shipment data and technology trends in the market. Subscribers to the Digitimes Research China Smartphone Application Processor Tracker (China Smartphone AP Tracker) receive comprehensive data updates, market intelligence and quarterly shipment forecasts in key research areas, including core architecture, top AP vendor performance, and the shipment structure of top vendors. The Digitimes Research China Smartphone AP Tracker is an annual service based on four quarterly reports. In each of the reports, shipment data for the previous five quarters and a forecast for the current quarter are provided. The service also comes with complimentary access to Digitimes' daily news website. China is now one of the biggest smartphone markets in the world, and several China-based smartphone brands have also taken over many of the front row seats of the worldwide ranking. With the growing importance of China's smartphone industry and market, any new trends and changes from the region's upstream supply chain could also greatly influence the worldwide smartphone market. To provide a better understanding of the interesting and complicated dynamics seen in China's smartphone market, Digitimes Research offers a quarterly tracking service that updates subscribers on the latest shipment data and trends in the market. This service is in fact two services in one. The first area of coverage is local demand in China, with shipments of local vendors and international brands being tracked on a quarterly basis. The second area of coverage is overall shipments by China players, for both domestic and international markets. These two services combine to provide a comprehensive tracking of the demand and supply sides of the China smartphone market, while also including analyses of a complicated sector where firms sometimes act as brand vendors in the local market and as ODM/EMS players for international customers in emerging markets. The quarterly report also incorporates worldwide smartphone shipments from major vendors. In addition to four quarterly reports, Digitimes Research supplies an annual-based report covering the status of the worldwide smartphone market over the past few years, the shipment forecast for the next five years and the shipment breakdown analysis for the upcoming year. 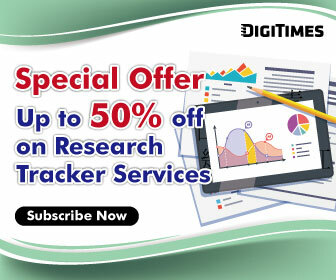 The Digitimes Research Smartphone Tracker is an annual service based on four quarterly reports on the China and worldwide smartphone industry and market and one annual report for the worldwide smartphone market offered in early-fourth quarter every year. In the China smartphone quarterly reports, shipment data for the previous five quarters and a forecast for the current quarter are provided. The service also comes with complimentary access to Digitimes' daily news website. Over two billion computing mobile devices composed of notebooks, tablets, 2-in-1 devices, handsets and smartphones have been shipped worldwide annually in the past few years. Taiwan makers have been a key force behind the production of these mobile devices. Of the notebooks shipped worldwide, about 80% are manufactured by Taiwan's ODMs. Other than the notebooks, some of these Taiwan ODMs also produce tablets and handsets, and some Taiwan-based smartphone brand vendors have also been keen to expand their presence in the market. Digitimes Research provides a quarterly tracking service that updates subscribers on the latest shipment data and technology trends of Taiwan's notebook and mobile device sectors. The Digitimes Research Mobile Device Tracker is an annual service based on four quarterly reports. In the reports, shipment data for the previous five quarters and a forecast for the current quarter are provided. In the fourth quarter of each year, the notebook and Taiwan handset reports also provide breakdowns of annual shipment trends in the areas of analysis. The service also comes with complimentary access to Digitimes' daily news website. Taiwan has been playing a key role in the worldwide FPD industry for many years. Its makers current supply around 35% of the world's large-size LCD panels and almost 50% of small- to medium-size LCD applications every quarter. Taiwan makers also play an important part in the display end market: Several ODMs and brand vendors produce over 65% of the worldwide LCD monitor shipments and around 15% of the worldwide LCD TV shipments. Digitimes Research's Taiwan FPD Tracker service provides quarterly updates of the latest shipment data and technology trends in the LCD panel, LCD TV and LCD monitor industries. Subscribers to the Digitimes Research Taiwan FPD Tracker service receive comprehensive data updates, market intelligence and quarterly shipment forecasts in key research areas, including shipments by maker, shipments by size, shipments by application, shipments by technology, and shipments by customer. The Digitimes Research Taiwan FPD Tracker is an annual subscription service based on four quarterly reports for Taiwan large-size LCD panels, Taiwan small- to medium-size LCD panels, Taiwan LCD TVs and two semi-annual reports for Taiwan LCD monitors, plus complimentary access to Digitimes' daily news website. In the reports, shipment data for the previous five quarters and a forecast for the current quarter are provided. In the fourth quarter of each year, the reports also provide breakdowns of annual shipment trends in the areas of analysis. Increasing popularity of cloud computing services is boosting enterprises' demand for servers, with particularly strong shipments to the datacenter sector. Taiwan makers are the major suppliers of server products, catering to around 90% of the worldwide demand every quarter. In addition to shipments to major server brand vendors such as HP and Dell, Taiwan ODMs also have entered the supply chains of Google, Facebook, Amazon and Microsoft, directly providing these Internet service giants with customized server products. Digitimes Research provides a quarterly tracking service that updates subscribers on the latest shipment data and technology trends of the server market. In addition to four quarterly reports, Digitimes Research supplies an annual-based report covering the shipment forecast for the next five years. The Digitimes Research Server Tracker is an annual service based on four quarterly reports and one annual-based forecast report covering the next five years offered in early-fourth quarter every year. Each of the report provides shipment data for the previous five quarters (less than five if the service has not tracked the figures for over five quarters yet) and a forecast for the current quarter. In the fourth quarter of each year, the report also provides breakdowns of annual shipment trends in the areas of analysis. The service also comes with complimentary access to Digitimes' daily news website.